Thank you for posting this. 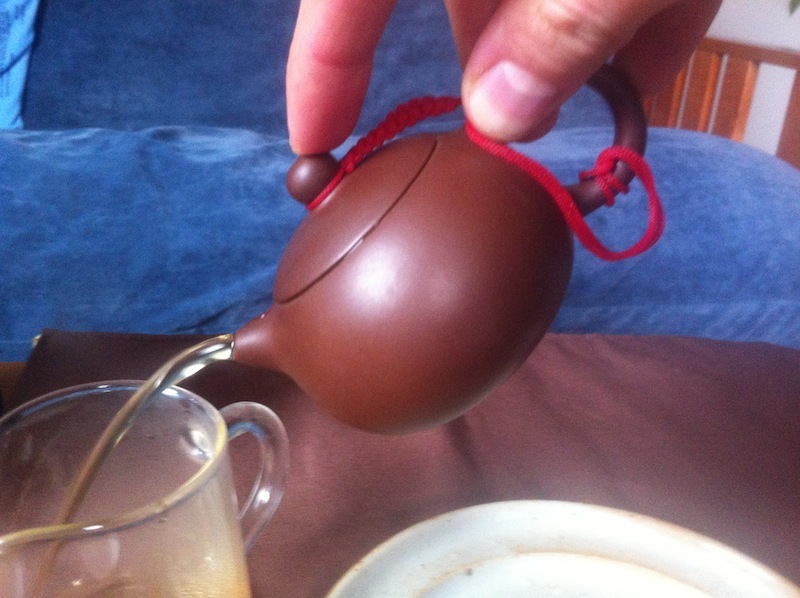 I have been searching for a small clay teapot just like the one you have in the second image. The one with the red cord. I was curious where you purchased this specific teapot? Any help would be greatly appreciated. Unfortunately, I think I purchased it at a shop somewhere in Hangzhou. 😅 But I *can* recommend teapots from http://crimsonlotustea.com/, http://camellia-sinensis.com/, http://mingtaoxuan.com/, and http://teaware.house/. 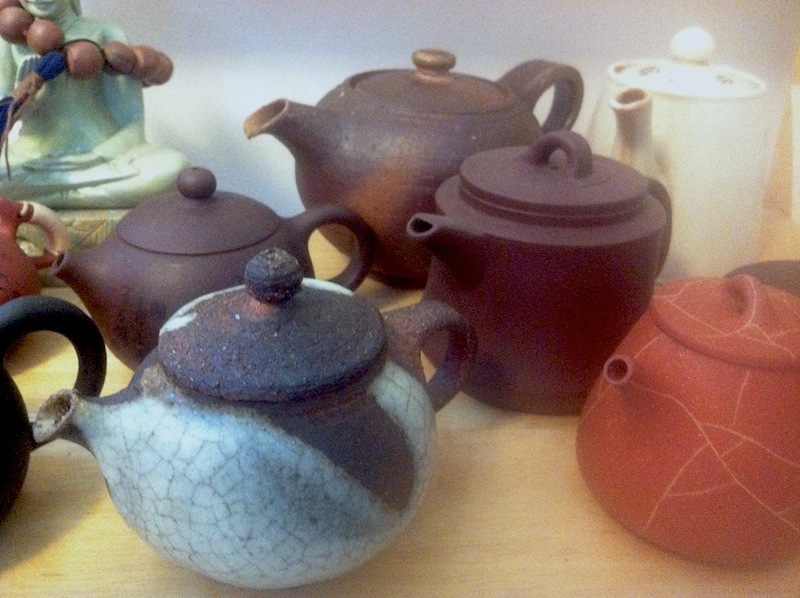 I don’t know if any of them have the red cord style specifically, but they all have excellent tea pots. after reading that article i got bit disappointed, i was planing to buy iron pot 600ml (~2 cups of tea) So its not good idea to prepare tea in iron pot? is 600ml reall y too big? Do i have to look for 300ml but even… different material as iron? 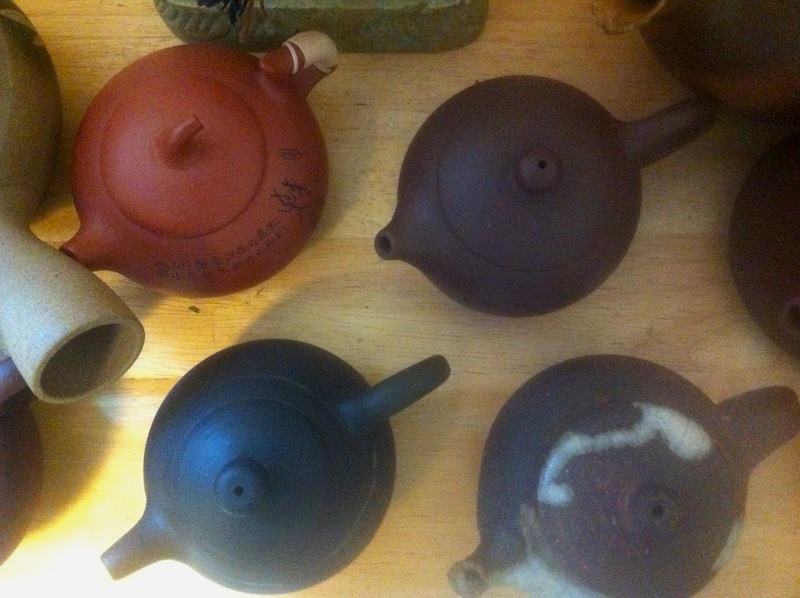 Most iron teapots these days are glazed on the inside, which means the iron won’t really matter too much either way. They basically are the same as a glazed ceramic pot. The only difference is aesthetic, so if you like the look, then iron can be great! 600ml isn’t too large objectively, but it can make it harder to control the infusion. That only matters, however, if you are brewing tea where the infusion time needs to be precise. If you are making a strong English-style black tea, a white tea, or even a forgiving oolong or Shou Puer, it probably doesn’t matter how big your pot is. A Chinese green tea, a Phoenix oolong, a tippy Yunnan Hong Cha, or a Sheng Puer probably won’t work as well in something that large. That’s a pretty good idea, actually. I have large pots and small pots myself. Do u think these sizes and brand material are good to go? They seem like they would work well. The iron will hold heat quite well and they are glazed (enamel) on the inside. All the iron puts I tried leave some taste on your mouth, some bitter that remains after drinking, and I did compared side by side the iron and a glass pot, always some taste from the iron…. they are only beautifull, meanwhile and after having this objective results I put all the iron ones to sell.